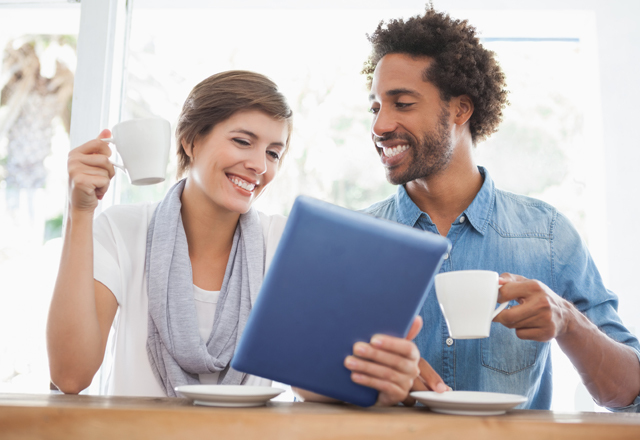 Shoppers want personalized experiences that are convenient and easy. Subscription commerce fulfills that need. Of course, for retailers, that one, seemingly simple desire can be filled in a multitude of ways, which can sometimes be at odds with each other. For example, a personal shopping experience may mean going to a neighborhood store, being greeted by name and engaging with an associate who knows your shopping history by heart. It can also mean logging onto a favorite online store, also being greeted by name, but then interacting with a recommendation engine and having a package shipped directly to you. When customers want certain items on a regular basis, subscription commerce is bridging the gap, letting customers feel a personal connection without having to expend the effort of a physical visit or performing endless online searches. With subscription commerce, or "subcom," retailers can delight customers while simultaneously benefitting from a source of recurring revenue. Subscriptions have exploded in popularity, growing from $57 million in sales in 2010 to more than $2.6 billion by 2016. McKinsey & Company reported that 15 percent of online consumers signed up for subscription services in 2017. Retailers offering such services report having a much closer idea of warehouse staff and stock requirements, delivery destinations, shipping costs and likely future income. Retailers generally have a greater sense of predictability, but in the most popular programs, what is delivered often includes a surprise—a carefully curated amalgam of products that the retailer has determined the customer will want. The concept is popular because it's fun and customers believe they are getting good value. While shoppers can order specific items for delivery at specific times by subscription, (e.g., Harry's Razors), samplings and curation are two common types of subscription services. Birchbox (cosmetics), Graze (snacks), and BarkBox (dog supplies) are among the most popular sampling services that consumers can sign up for by subscription. Birchbox, which launched the curated sample subscription box trend in 2010, mails subscribers four to five new beauty samples and lifestyle items to try for a $10 monthly fee. Curation is based on shopper profiles submitted by users on the Birchbox website. Retailers earn recurring income on these subscriptions of sample products; they pay little or nothing for the products they ship on a regular schedule. Customers join the service and understand it's typically a sampling of trial-size products; those that aren't desired are simply discarded rather than returned. For example, Birchboxes can't be returned. By offering trials of popular products, retailers hope to increase product interest that will carry over to their online stores. The boxes offer retailers opportunities to delight customers, with curation, personalization, and pricing strategy being crucial factors. Curated services are personalized with the shopper's profile in mind. For example, customers of the higher-end clothing subscription Stitch Fix, benefit from a personal stylist who selects several pieces of clothing based on the shopper's style profile. Upon receipt of the shipment, the customer has three days to decide what to buy and what to send back. By sending the stylist feedback, shoppers can receive more personalized selections the next time. Subscription services answer customers' calls for more personalized offerings. Shoppers are willing to pay for convenience and subscription services provide that as well as an element of surprise. Successful retailers understand that subscriptions aren't simply fulfilling a request — that can be accomplished with any sales transaction. The surprise element of curation and sample subscriptions makes shoppers feel as though they're getting gifts from close friends who understand the recipients' taste — despite the recipients having placed the orders themselves. The experience delights the customer, and therefore, the trend is likely to continue to be popular well into 2019. Has Walmart cracked the omnichannel challenge? Offering customers the ability to seamlessly move from online shopping to brick and mortar and back to online is the crux of the omnichannel experience. Shoppers can buy products 24/7, go to a physical store for an in-person inspection, and then make the purchase using either channel based on convenience. Increasing numbers of retailers are incorporating omnichannel aspects into their business plans, including buy online, pickup in store (BOPIS), endless aisles and curbside pickup. Creating efficient and profitable omnichannel strategies is a challenge for any business, yet their importance is well understood. A recent study by Multichannel Merchant and Brightpearl found that 87% of retailers agree omnichannel is a critical business function, yet only 8% believe they are proficient at implementation. That indicates a long road ahead: Retailers are clearly overcome with the technical challenges and customer expectations that are large parts of implementing an omnichannel presence. Recently, retail powerhouse Walmart has taken up the omnichannel challenge. Walmart introduced its shoppers to a new e-commerce feature: 3D virtual shopping. Viewers can "walk through" an apartment outfitted with home goods sold by Walmart. 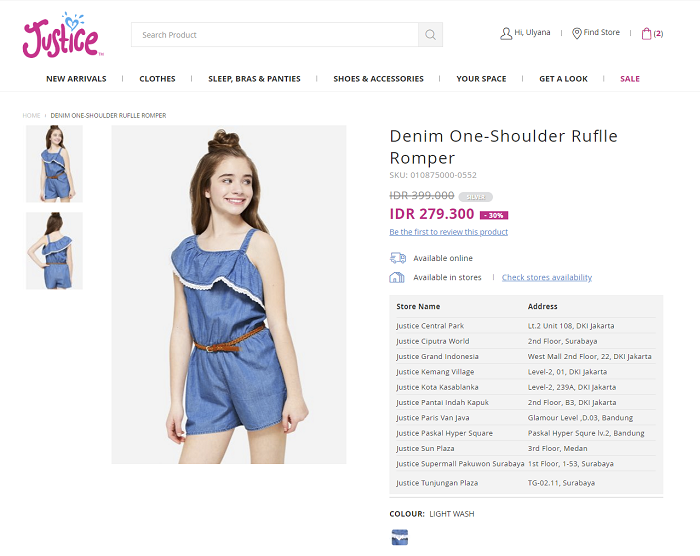 Certain items are designated as being available through the retailer, and by selecting an icon, the shopper can view a brief description and is offered an option to place it into a shopping cart. The experience offers shoppers the benefit of seeing how items look in context: How an object will look in a home, rather than on a shelf in a store with dozens of similar items next to it. Furniture stores have been using similar staging techniques forever. But Walmart, like other big-box retailers, has no space to devote to setting up faux living rooms, kitchens, bedrooms and bathrooms. So using e-commerce site — where space is plentiful — is the perfect solution. The apartment showcases roughly 70 different items, and it is easy to see how the virtual environment can be used an infinite number of ways. Walmart plans to add "Buy the Room," which lets customers add groups of coordinated products to their shopping carts at one time. Aimed initially at shoppers for dorm-room items, five curated collections will be offered. Such unique online experiences can help create a seamless omnichannel experience for shoppers. For example, a mom and daughter go shopping for the daughter's first apartment. They arrive at Walmart, but are overwhelmed by the selection and can't visualize how items will look in an apartment. Pulling up walmart.com on a mobile phone offers a 3D apartment tour, helping put the items in a more familiar environment. Some of the items can be purchased while they are in the store — and others may be only available online. Both sales channels are used to provide the customers exactly the items they desire. A recent Accenture study found that 32% of consumers said that the integrating the mobile, website and in-store shopping experience is the biggest improvement retailers need to make. The old “customer-centric,” multichannel approach is being replaced by a more assertive, customer-driven approach. It is not enough for companies to simply know each customer, but they must also respond dynamically to customers who are constantly re-evaluating what they want to buy and where they want to buy it. In-store customers account for 50% of all eCommerce activity, research by Salesforce found, so closing the online-offline gap is critical for customer experience. In response, retailers pursuing omnichannel with Retail Pro are turning their technology gains into customer-facing conveniences for unified commerce that puts shoppers first. Here are three ways you can pass on the benefits of full data visibility in Retail Pro to your customers. 79% of shoppers research products online before buying in stores. Analysts are calling the trend ROPO – Research Online, Purchase Offline. With so many shoppers choosing this blended approach to shopping, you can use your inventory data in Retail Pro to give customers online visibility into a product’s availability at their local store and secure the sale. Though personalized recommendations generate only 7% of online visits, they result in 26% of online conversions – well worth the effort. You can analyze customer history data in Retail Pro to personalize your marketing with recommendations based on items they recently or frequently purchased. Effective recommendations are those that complement what the shopper already purchased from you, rather than simply other iterations of items the shopper has already browsed or bought. For on the go consumers, the real shopping is done on your website. They see your store as a fulfillment center where they will try on or pick up what’s needed on their way to do other things. Kanmo Group took this kind of holistic approach to managing data with Retail Pro Prism. "To truly benefit from our omnichannel strategy, Kanmo Group has to look beyond simply engaging customers through offline and online means. When you look at the customer behavior in Southeast Asia, you will see that shoppers love to fill up their basket online – but they still prefer to complete the purchase in physical stores," commented Bhavin Patel, Omnichannel Director of Kanmo Group. "We want to give our customers flexibility to collect and check out the ‘basket' they created by communicating with a salesperson or through the real-time Retail Pro Prism POS system." Customers can fill up their shopping cart online. If they are in the area, they might choose to visit a nearby Justice store and complete their purchase there. Retailers pursuing omnichannel are taking on the monumental task of integrating all their data sources into a 360 degree view of their business. With full integrability in the Retail Pro platform, omnichannel is becoming attainable reality rather than simply rhetoric. Accurate, real-time communications in Retail Pro help you keep your inventory and customer information up to date across the entire business, so you can make better decisions from holistic, integrated business insights. Whether you’re leveraging Retail Pro for your brand stores, ecommerce, kiosks, outlets, franchises, store-in-store, or pop-ups, Retail Pro is one solution for all your retail and helps you unify commerce in a way that puts shoppers first. 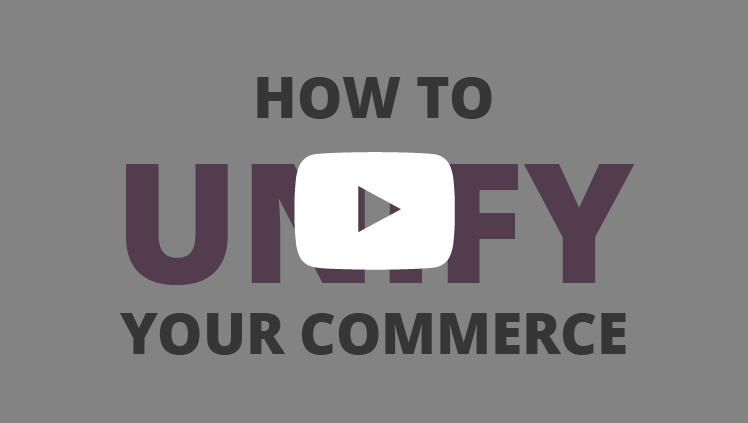 To see what it will take to unify commerce with Retail Pro Prism in your business, contact your Retail Pro Business Partner or request a demo today. 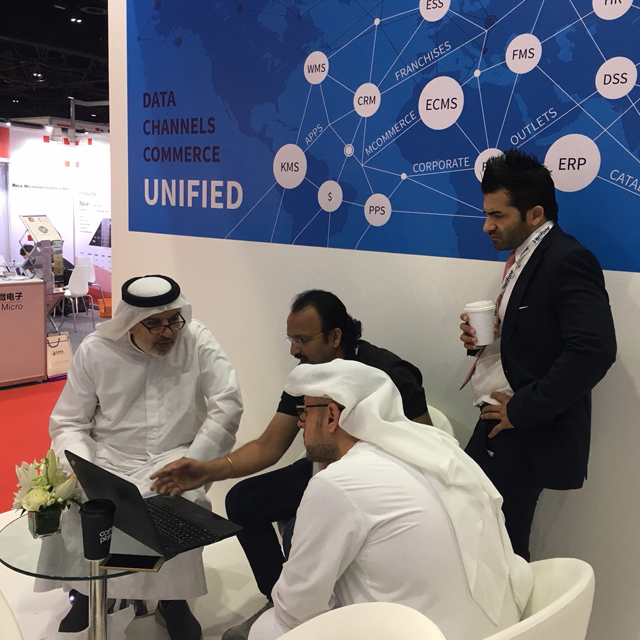 Seamless Middle East 2018, was hosted last week at Dubai International Convention Centre, bringing together the industry’s leaders in commerce, fintech, retail and payments at the Middle East's most inspiring summit and technology exhibition. H.H. Lt. General Sheikh Saif bin Zayed Al Nahyan, Deputy Prime Minister and Minister of Interior inaugurated the show, where over 350 global players and entrepreneurs showcased their latest products and solutions. Technologies included the market’s top players in mobile POS, inventory management, mobile payments, and analytics, as well as digital marketing with omnichannel retailing, blockchain and AI. 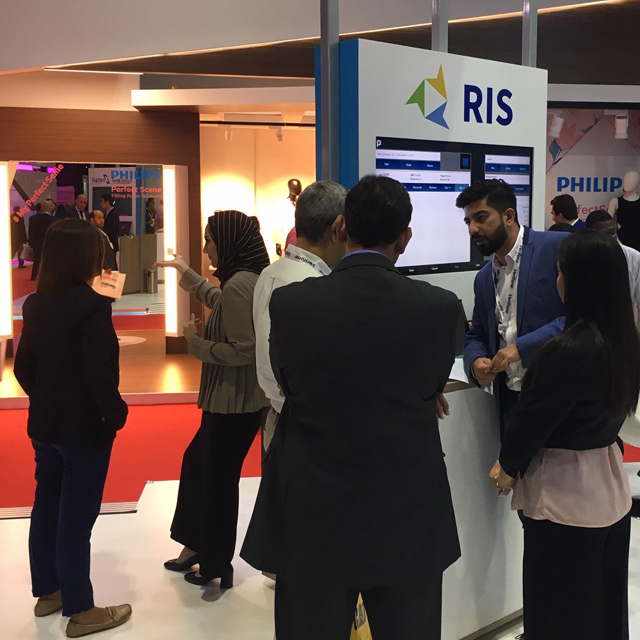 Speaker sessions featured discussion on Middle East retail’s current trends and key opportunities, including the latest technologies for creating seamless omnichannel customer experiences. Consumer expectations for their shopping experiences have shifted significantly toward convenience – shopping with retailers on their own terms. So retailers are acting fast to adapt operations and adopt modern technologies that will help them launch their customers experience strategy innovations. 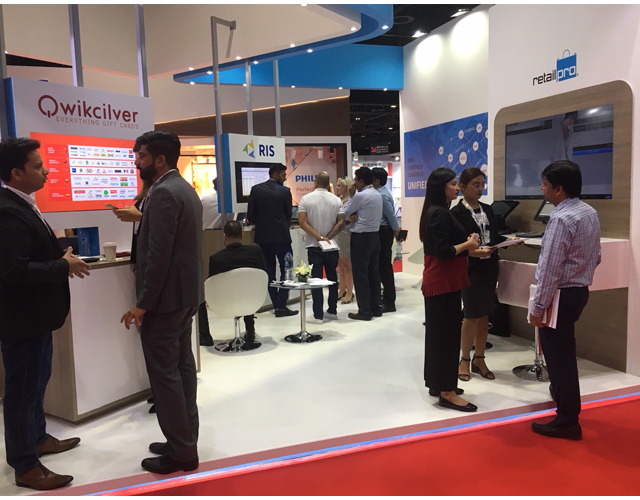 One of the biggest retail players exhibiting at the show, Retail Pro International, showcased its globally proven and completely localized, flexible mobile and desktop POS and inventory management software. 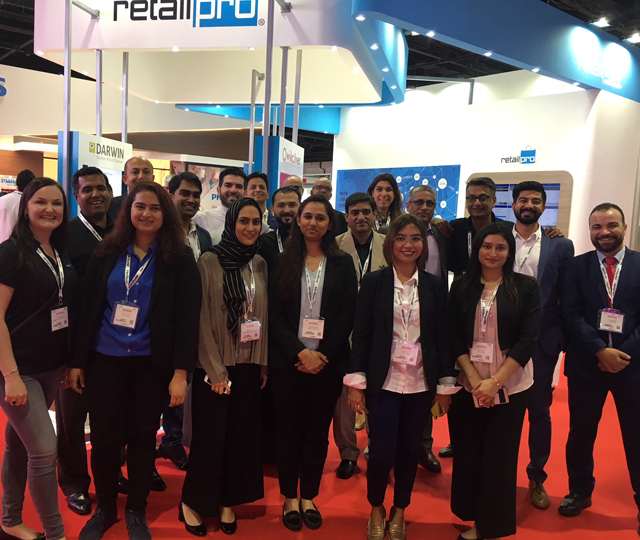 Retail Pro International was joined by some of its expert support partners from Egypt, Saudi Arabia, and UAE – Inditech, Retail Technologies, Retail Information Systems, and Crystal Mind. 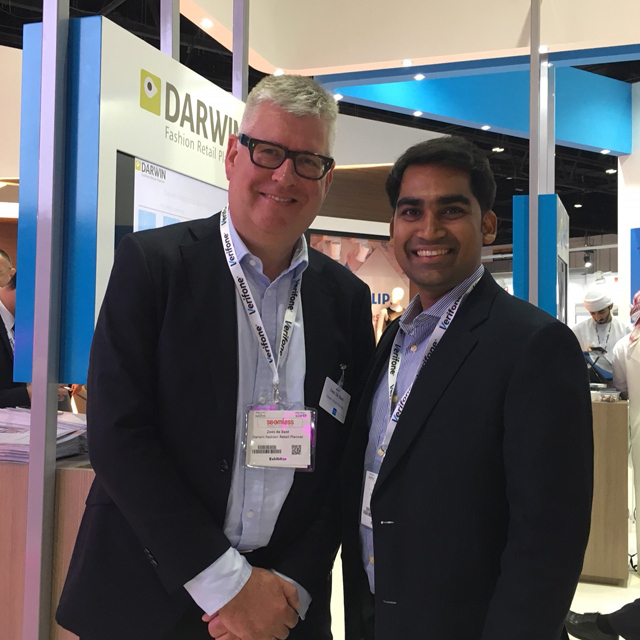 Together with solutions partners Xretail omnichannel platform, Qwikcilver gift cards, and Darwin fashion retail planning, Retail Pro International made a strong case for the end-to-end retail offering. 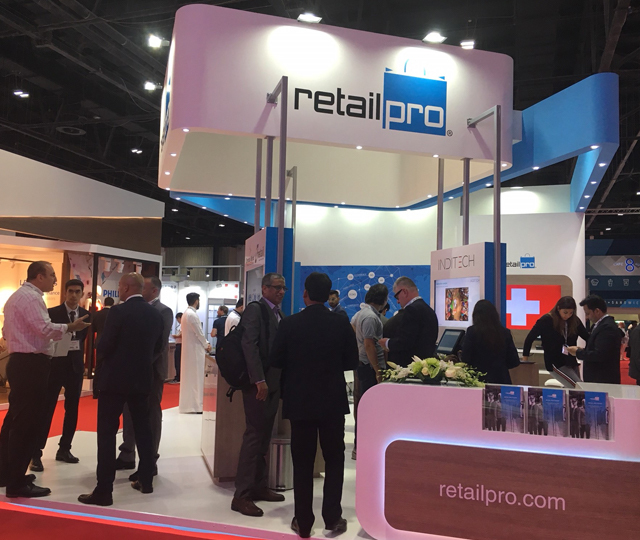 Today, 9000 special retailers – with over 450 based in the Middle East – use Retail Pro to improve efficiency in their store operations and add globally on-trend capabilities. 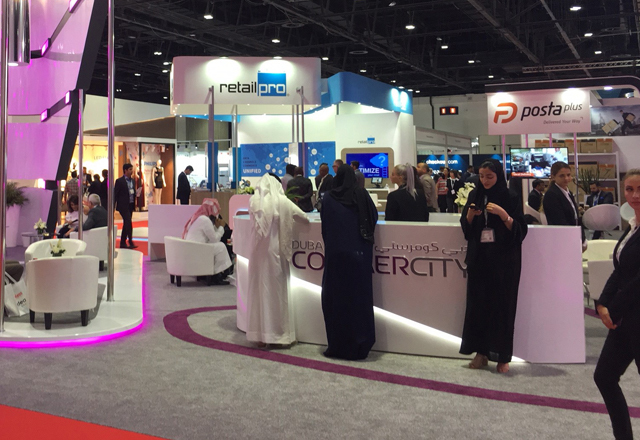 The POS software is adapted for local KPIs and market knowledge, making Retail Pro the go-to solution for top retailers in the Middle East. Many brick and mortar retailers have invested in providing customers exciting, engaging and satisfying shopping experiences in order to effectively compete against e-commerce. Online retailers have done a remarkable job of offering shoppers the goods, pricing, and availability they want. The most recent figures available show continued strength for e-commerce sales: According to the U.S. Census Bureau, total e-commerce sales for 2016 were estimated at $394.9 billion, an increase of 15.1 percent (±1.8%) from 2015. Online orders increased 8.9% in the third quarter of 2016. Retailers with a base of operations in the physical world are now not only deftly entering the e-commerce arena, but they are leveraging their physical presence as well. Today, brick and mortar retail is on its way to becoming a media channel. In fact, some have suggested that retailers will not simply offer products for sale, but actually charge brands an upfront fee for the privilege of being a part of the in-store experience. So retailers might have a larger selection available online to customers, but a few, select lines are actually available to see "in person" on the showroom floor. Think of brand boutiques in larger stores as a similar example of the strategy, but more curated, and the brands pay the retailer for the privilege. Beacon technology is another way retailers can learn about shopper behavior. These devices can learn where shoppers linger within a store and also provide shopper-specific information if a client agrees to opt-in to that type of data collection. That information can then be used by retailers to personalize the in-store experience, for example, suggesting available merchandise. Beacons can also remind shoppers of products they may have overlooked during the current shopping trip that they have previously bought. Beacons can also spotlight products a customer has previously expressed interest in, as the technology detects customers' lingering in particular locations. Instead of associates spending all their time and energy on duties such as stocking shelves, counting inventory, cleaning, etc., they can instead focus on providing the best customer service possible. Managers can then invest more time learning how the store functions as a destination and how it can improve to exceed customer expectations. 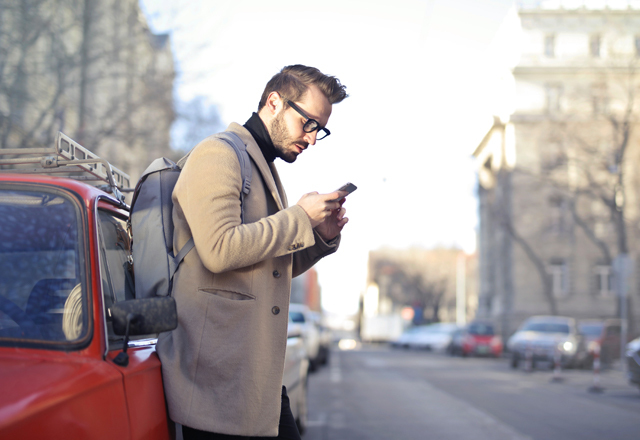 Do you have mobile technology that your associates can use to help find products in different store locations, or to order an out-of-stock selection? Great, but if that's the only reason for the technology, you're stuck in 2014. 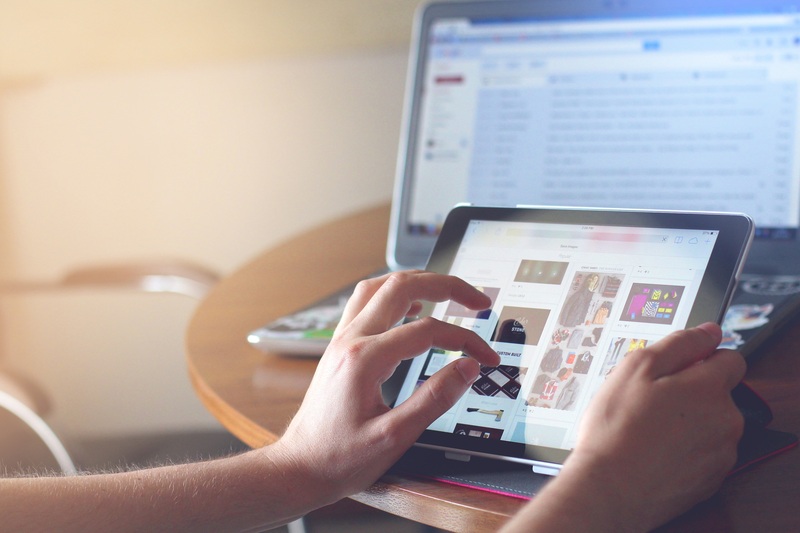 To keep up with the times and the online competitors who give your shoppers ultimate control – and attract Millennial shoppers – share that technology to beef up their customer experience. Here are 2 ways to do it. First off, it's an ideal way for the shopper who's a "loner" – the one who wants nothing to do with associates and shops online for a reason! A retail touchscreen lets these clients self-serve entirely. Think of it as an update to kiosk technology. This is more user-friendly, mobile and definitely full featured: Customers can search for items and complete the buying process independently. And, with permissions levels easily set by your retail IT group, you can rest secure knowing shoppers won't accidentally wonder off into your confidential retail records. Second, mobile technology can not only be used to locate products by the salesperson, it can also be used by the customer and associate together, for some human suggestive selling. The salesperson can use a touchscreen as a tool to share items that are in the "endless aisle," – products available but not physically in the store. In addition, the touchscreen can be a useful aid in retail clienteling. 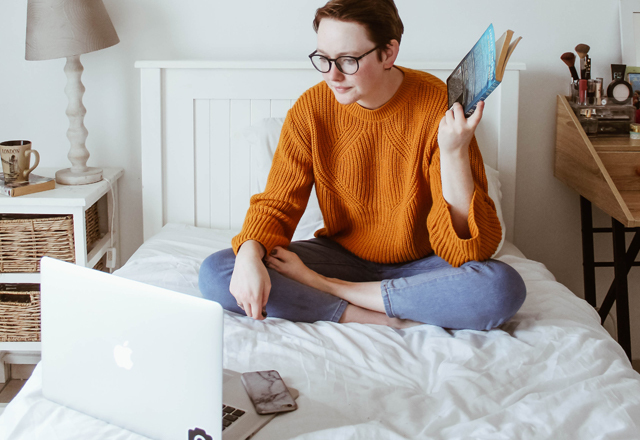 Although Millennials are known to be rather aloof with salespeople and prefer a do-it-yourself approach to shopping, they do share purchase decisions and seek input from friends and perceived experts when shopping. So, an associate might find something within the "endless aisle" and share it with the customer by physically handing him or her the screen. Customers could then add the suggestion to a cart or wish list, or begin a consultative conversation with the salesperson if the product didn't quite hit the mark. At best, it's a sale; at worst, it's a solid conversation starter. Supporting in-house mobile technology allows retailers to adapt readily to shopping preferences of consumers accustomed to taking control over their experience with online shopping. Many shoppers complain of overbearing associates – when those salespeople have actually been trained to do many of the behaviors the customer finds annoying. By providing a mobile option, retailers are offering an alternative that will facilitate customer engagement in-store, yet has more of the independence many of today's shoppers want. Want to learn about mobile POS options from Retail Pro? 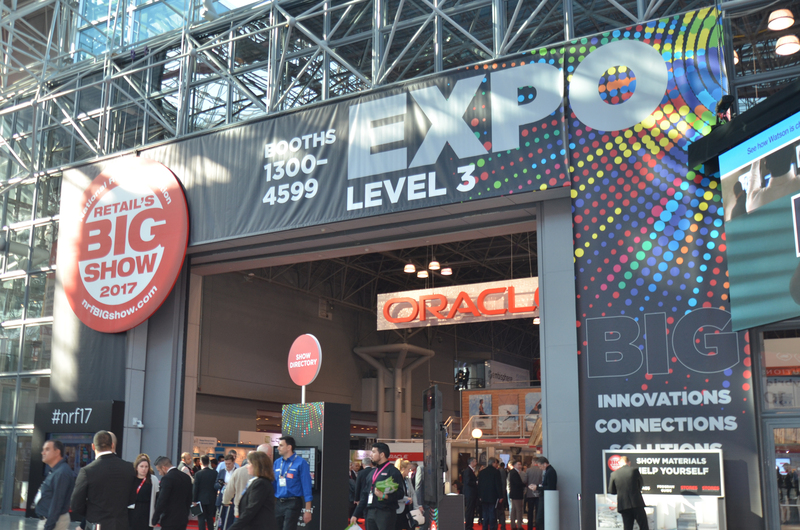 In-store personalization has been slow in coming, but at this year's NRF Big Show, vendors showcased technology that indicated the tide may be turning. And why not? Retailers are well aware that the ability to create a personalized experience for every customer could methodically lead shoppers to the point of purchase. However, while retailers have embraced personalization techniques online, that success has not provided the impetus for similar in-store implementations. The benefits personalization offers e-commerce are known and envied by their brick and mortar counterparts. But there are myriad types of personalization – navigational and predictive, for example. Personalization can be based on third-party data, database segmentation, past purchase history, location and more. It's complicated to start on the path to personalized selling and it doesn't get easier. That may change shortly, as the costs of the technology have decreased, third-party integrators are more fluent with the necessary equipment and software, and the benefits are becoming more evident. Shoppers, too, expect a unified commerce, tech-driven experience in which in-store mirrors online, and vice versa. 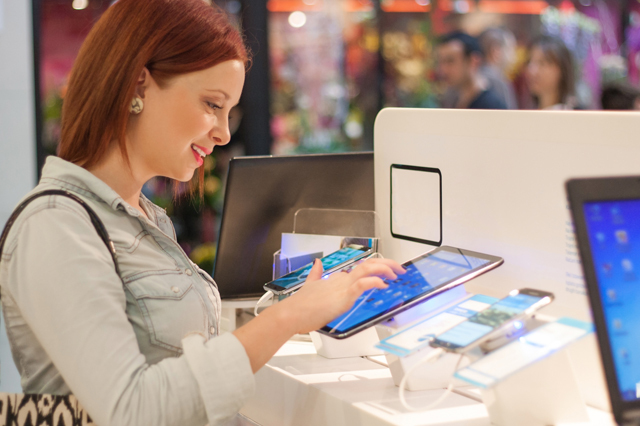 Vendors are more motivated than ever to provide retailers with tools that will help them reflect the online experience inside a physical store. In addition, increasingly, those tools are easier to use and to integrate with existing systems. One of the big challenges for retailers is determining how to make in-store personalization attractive to shoppers; some customers see the technology as overly intrusive. In its second annual "Creepy or Cool' survey, RichRelevance found customers embraced personalization when it suited their needs. However, it's difficult for retailers to understand exactly what shoppers' expectations are at any given time because they are shifting and evolving. To address that, part of the focus of this year's NRF was the underscoring of the need for retailers to get back to basics and to develop scalable, repeatable and reliable processes that support their enterprise order management capabilities. A solid foundation built on those principles is likely to be more responsive to constantly changing – and expanding – shopper expectations. Much of the ordering technology that is currently available to retailers is focused on the flow of product from one channel to the next. Understanding and pleasing the customer, unfortunately, has until now been simply the result of having solid ordering technology. The customer experience is largely an afterthought. Many of the vendors at NRF believe that consideration of customer satisfaction and their preferences will move to the forefront this year. While order systems must be accurate and efficient as well as cost-effective, those characteristics are no longer a differentiator in retail. Instead, they are a requirement. What will distinguish the great retailers are those that can receive orders and provide internal inventory visibility across all sales channels as well as track customer satisfaction with store fulfillment. Although efficiency and process are obviously important to retailers, personalization offers the potential of increased sales as well as customer loyalty. People enjoy patronizing businesses that know their tastes and provide that personal touch. In addition, retailers can further improve the customer experience by providing insight into inventory and delivery, which in turn helps the customer feel empowered. As retailers continue to blend the right mix of product, service and ordering flexibility, they encourage a sense of empowerment that enhances the customer experience. Last week we invited you to meet with us at NRF to discover optimized retail with Retail Pro. Let’s count down the final weeks before NRF with tips on HOW to optimize your retail operations, in step with market trends and proven strategies of retailers using Retail Pro. Then – book your NRF meeting to talk with us in person about how Retail Pro can help you optimize and unify your commerce profitably. Omnichannel retailers struggle with shipping costs: Charge too much, and customers flee, but charge too little and retailers are left with dwindling profits. Customers who abandon shopping carts online, it often is a signal that your shipping costs are too high. It's not uncommon: According to Baymard Institute, 67.45% of carts are abandoned. And CPC Strategy found retailers lose $18 billion annually due to shopping cart abandonment. But lowering shipping costs while providing products at reasonable prices is a difficult balancing act. Solvency depends on making a decent margin on goods, but if prices are perceived as too high (because shipping is built into that figure), then the retailer risks having languishing product. 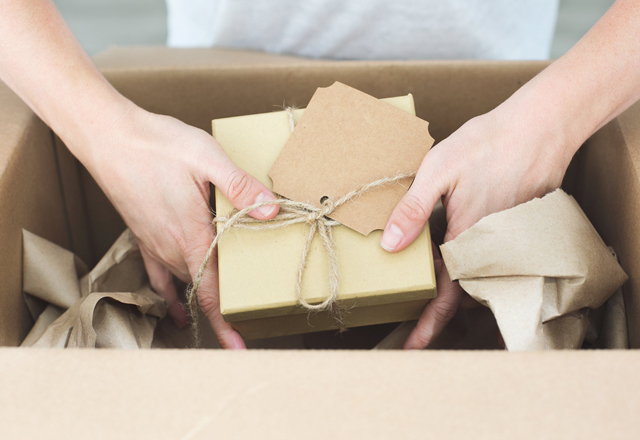 Customers often want free — not just inexpensive —shipping, delivered within a day or two. Many retailers struggle mightily trying to satisfy those demands. But for smaller chains, who may have less purchasing power with their suppliers, fulfilling that request is often impossible. However, an omnichannel program with a strong foundation can help retailers identify where products are within their supply chains, and deliver them most efficiently to their customers. Ship-to-store capabilities help companies sell inventory wherever it resides, whether that's at a store in Sacramento, CA, or Newark, DE. Once located, retailers can direct the product to a store where it's needed, or have it shipped directly to a customer. Not only does that “save the sale” but it also nurtures customer loyalty. A ship-from-store strategy can reduce delivery costs for the customer because the retailer uses its own outlets as fulfillment centers. The closest location takes delivery of the product and ships it to the customer. The retailer must use its supply chain in the most efficient manner possible, and that includes being diligent about inventory visibility. Retailers must have up-to-date inventory count at all locations to reduce delivery costs. It is a practical solution to the "delivery problem" to fulfill an order from a customer who lives virtually around the corner from a retail store with product from that location rather than have it shipped from a distribution center hundreds of miles away. 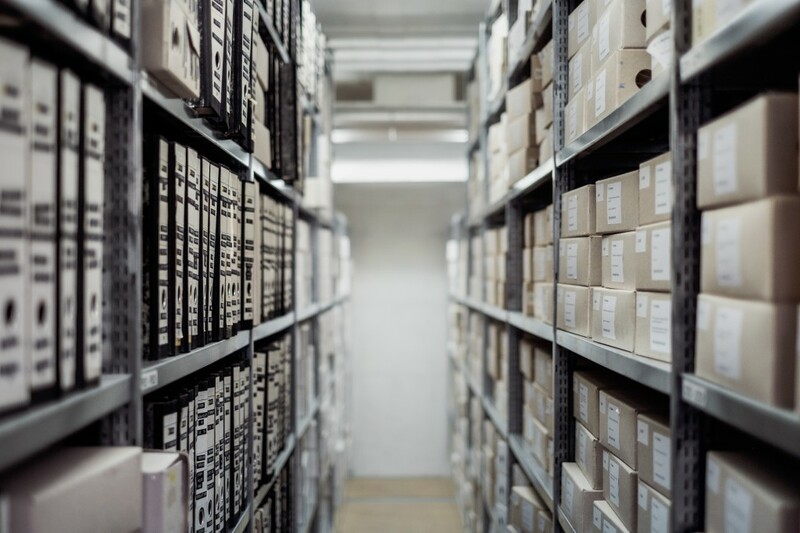 Being able to take a close look at inventory lets retailers provide customers the delivery they want, without sacrificing good business sense. You know it’s critical to create a consistent customer experience across all sales channels – but you can’t afford for your omnichannel efforts to be seen as omni-failures. Get this whitepaper to discover how to simplify omnichannel!